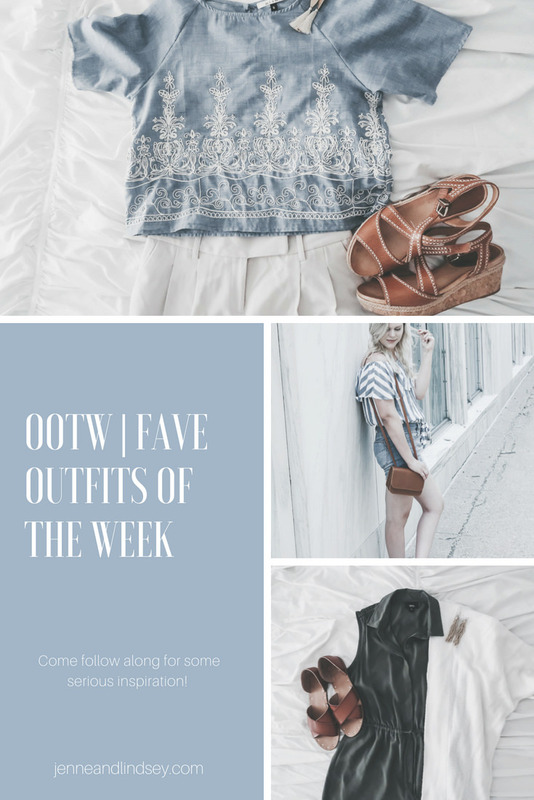 OOTW | Outfits of the Week | Jenne & Lindsey Co.
Hey friends! 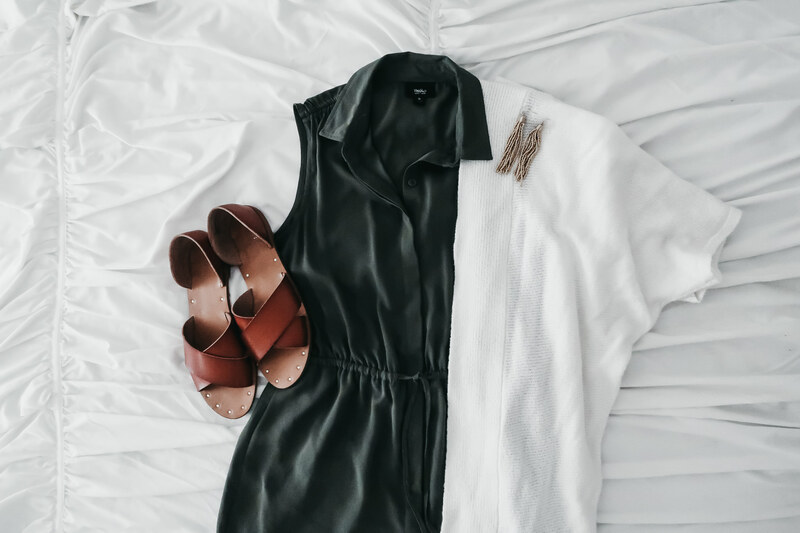 It’s time for us to share a few of our favorite outfits of the week. We’re all about that inspiration game and not about that comparison game. 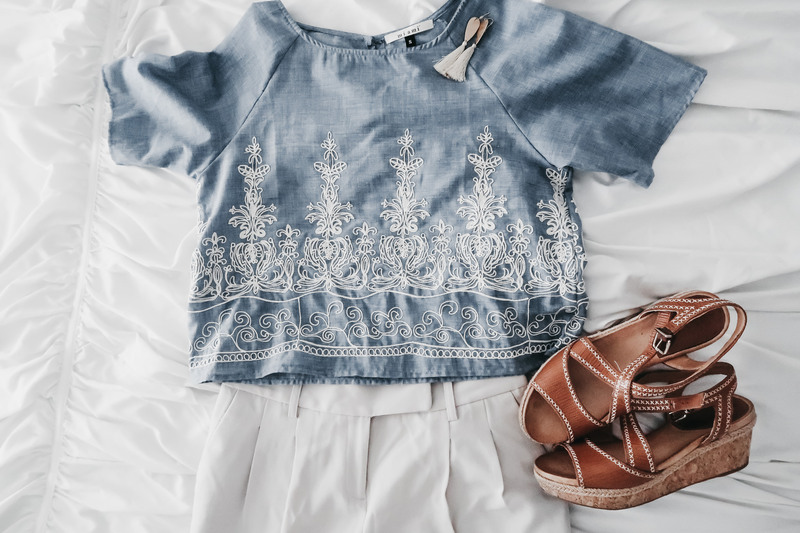 We share our favorite looks to inspire you to try new things with the clothes you already have and to be confident in them! Let’s take a look at this weeks faves! The first outfit I was totally feeling confident in was this little tropical romper. I realized a lot of my summer clothes were still in the back of my closet and I forgot I even had this. 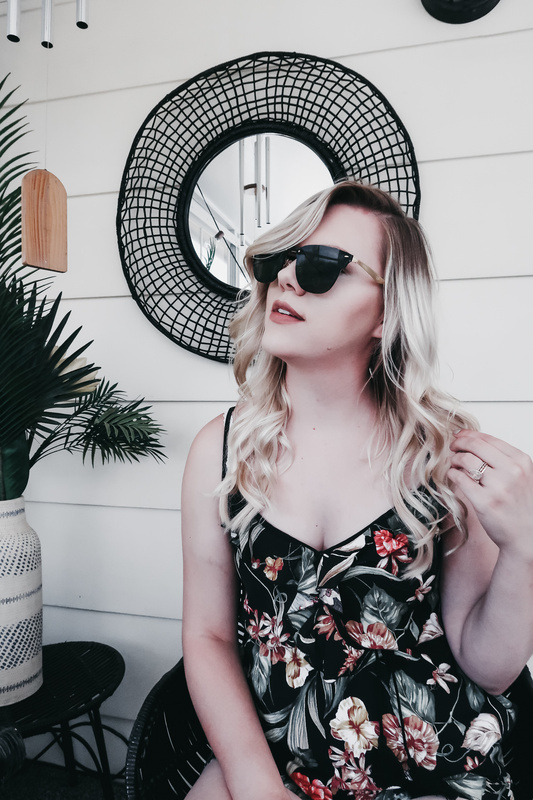 Usually rompers don’t work for me because I have a longer torso, but this one worked! I love playing with pops of color, it gives me a whole lotta confidence and maybe a little sass. This next outfit is a little more muted but another fave. I found this adorable off the shoulder top last summer at American Eagle and just had to have it. I’ve always been a chambray and white stripes kinda girl. I paired that with a pair of my new denim shorts and this cute little bag. I also can’t live without my white keds because they’re the perfect casual shoe for the look I was going for! Here are my favorite outfits that I wore this past week, flatlay style. This embroidered crop has been a challenge for me to style, but this week I remembered these cropped, high-waisted slacks and it was the perfect pairing! This next outfit was so comfortable and casual but still felt like such a step up from jeans and a t-shirt. I am obsessed with the wide leg trouser for summer! This summer I am making wearing more dresses a priority. 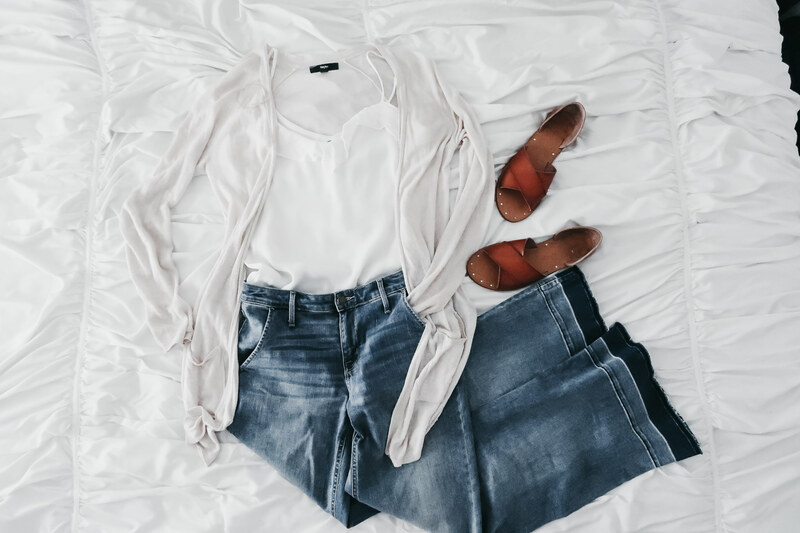 I still like to add layers where I can because I am always cold so this short-sleeved sweater is the perfect addition to this outfit. 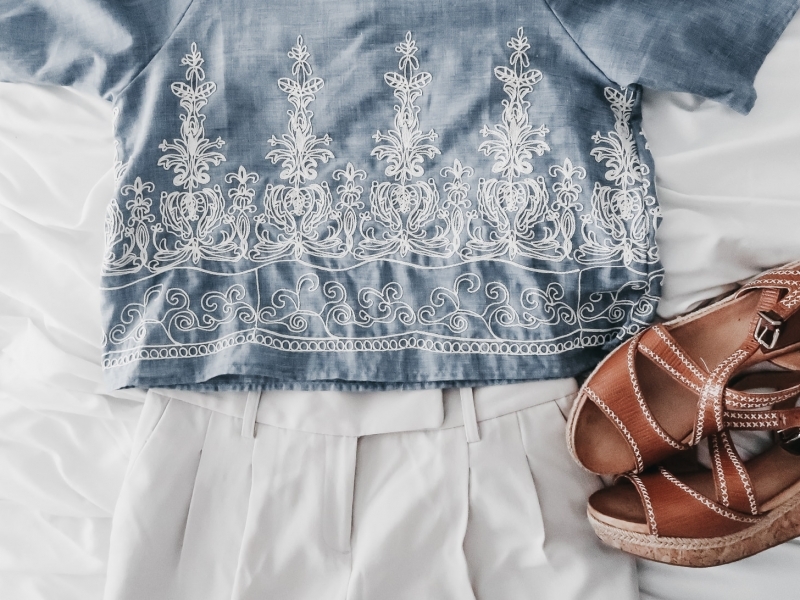 Share your favorite outfit of the week with us using the #jandlootw. We’d love to see your confident faces rocking your faves! 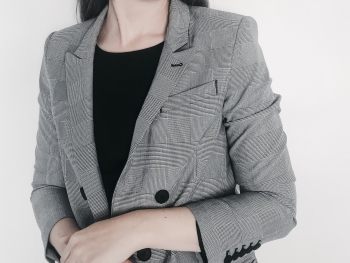 If you are at all curious about how to confidently develop your personal style be sure to check out our Style Wise Wednesday convo about 10 Tips for Developing Your Personal Style.